When the temperature climbs to numbers that have more than two places in them, yarn does not sound like the leisure activity that it usually is. Fortunately there are nice plant based yarns that do not trap the heat like wool or even acrylic does. Juniper Moon Farm creates one such yarn in Zooey. Zooey is a 60% cotton, 40% linen yarn that feels cool and is durable. I have to admit, I am not always drawn to linen, but the blend with cotton in this yarn makes it softer and less stiff than I have experienced in other yarns. It can take a hardy blocking, and I recommend that you plan on blocking this yarn, it brings an entirely new quality to it. Once it takes water, which it generously absorbs, it blossoms and becomes softer. It then can really open up stitch work and make some beautiful lace work with relatively little effort. The yarn is listed as a fine weight, also referred to as a 2 weight, but easily works up with larger than expected hooks, even if the yarn is rated for a 3.5-4.5mm (F-G) I like it on a 6mm (J) for a more open effect. The hank has some decent yardage at 284 yards (260 meters) for a 3.5 ounces (100 gram) ball. Even has a 4 ply yarn, plied with 3 strands of linen and 1 strand of cotton, it does not seem to have a really round nature. It seems a little flat, but that is something to be expected form the fibers. The ply is not real tight, however this did not seem to cause any splitting. 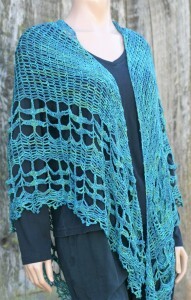 I think this yarn would do well as a market bag, maybe even a cover up for the beach. That also lends me to think that it could pull off a sun hat. It really does make me think of summer projects, this might limit my creative sense, but overall I think it can have some great uses. There are always subtleties that create a difference in yarn. One is something that is mostly taken for granted, the direction of the ply. 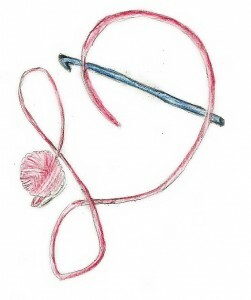 This might seem like a moot point for a topic to discuss, as most all yarn is spun in a similar fashion, the individual strands are spun in a counter-clockwise direction, then plied together in a clockwise direction (this opposite direction of spinning creates the tension that makes a yarn stable). However, just because almost every yarn is spun in this manner does it make a difference if you spin in it reverse? Essentially all yarn is spun in this method, sometimes referred to as “S” twist, I am not sure if there is any real particular reason for this except that it has been done that way. There are a couple of yarns available that are spun opposite of the “S twist”, meaning that the beginning strands are spun clockwise and then plied together counter clockwise, this is known as “Z” twist. Yarns spun this way will indicate this on their labels, as it is a subtlety that differentiates it from others. 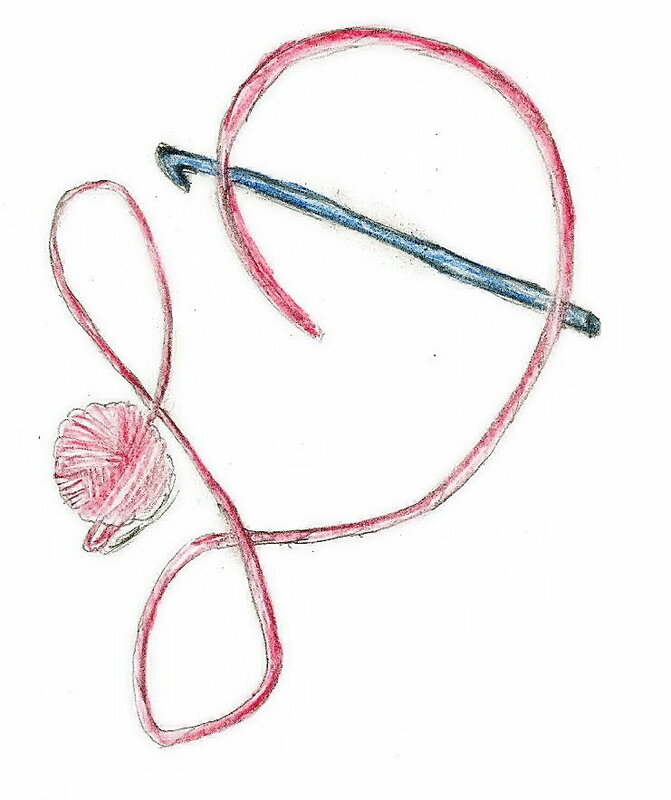 So why consider a “Z twist”, there are those that find it reduces yarn splitting for right handed crocheters, as the traditional method of crocheting the yarn overs can either add or subtract the twist in a yarn. As traditional yarn is spun with a clockwise finish, and right handed crochet yarn overs in a counterclockwise direction, twist can be taken out of a yarn causing it to split. So with “Z twist” being the opposite the right handed crocheter will add twist to the yarn. Honestly, I have not noticed too much difference in my work between the twist directions, with the exception of yarns that are loosely plied together and thus unply, or split quite easily. However I do notice a bit of a visual difference in the way my stitches look, it is subtle, and if I wasn’t really paying attention I may not completely understand why it looks different. This difference is because of the lines that I see in the yarn due to the ply. The “Z twist” lines are in the opposite direction. Now that I have told you more then you hoped to know about the direction of twist within yarn, there is a yarn that I find I quite enjoy that is a “Z twist”. 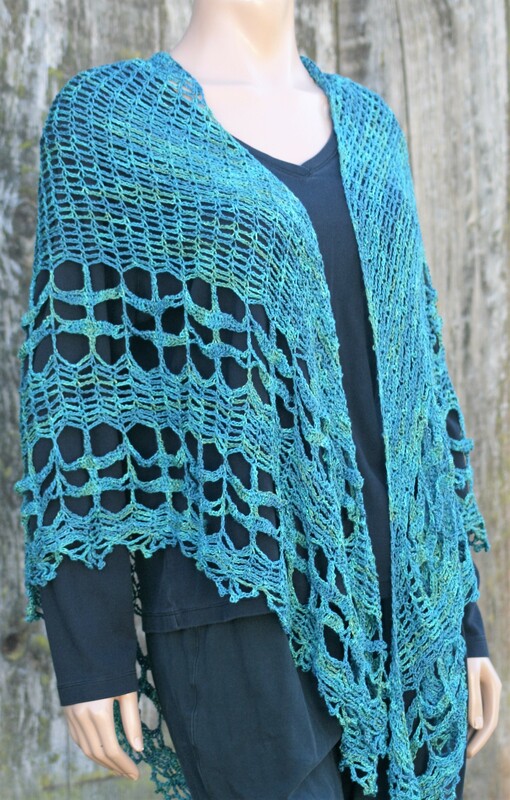 Lotus by Designing Vashti is a 52% cotton, 48% rayon, fine weight yarn that is perfect for summer. I find that I create garments, wraps, shawls, and even hand backs out of this yarn. It has a nice drape, and I love the slight shimmer that the rayon gives it. For me it is this rayon that really allows me to see the “Z twist”. 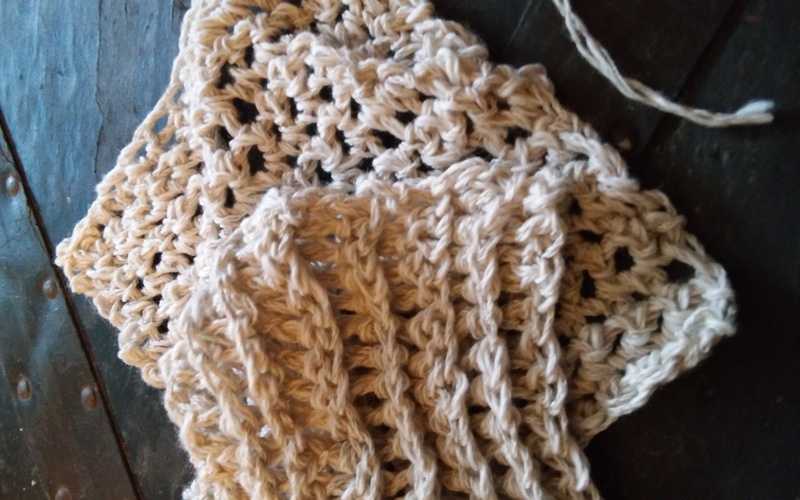 I have used this yarn several times and have found that it really “blooms” after being washing, meaning that it fluffs up and fills in the space between stitches. The combination of cotton and rayon make it perfect for warm weather, that is probably I always tend to pick it up in Spring as I am getting ready for the warm weather of summer. Some yarns always inspire me, some always tell me what they want to be, others, well maybe not so much. Cotton Classic by Tahki Stacy Charles is one of the former, it can always find a design in my mind. Cotton Classic is 100& Mercerised Cotton and this sometimes causes people to pause. The term cotton is generally understood, it had a great marketing campaign throughout the 1980’s about how it is a naturally grown product that lets the fabric breath. Cotton also is stronger when wet, has limited stretch, and many think of it shrinking when first washed. This first wash shrinking, is not like felting of wool, this is essentially because cotton, being a short in length fiber, has more “twist” worked into the yarn in order to hold the fibers together (if a strand is long it does not need to be twisted together as much to hold, while something short needs to have more twists to ensure the hold) this puts a lot of tension on the fiber. When the yarn (of cotton shirt) finally gets fully submerged in water it actually allows the fiber to relax, this allows it to release the tension, and this caused the fiber to contract. So cotton will only shrink in the first washing whereas wool will continue to shrink with washings. The term that confounds many is Mercerised. 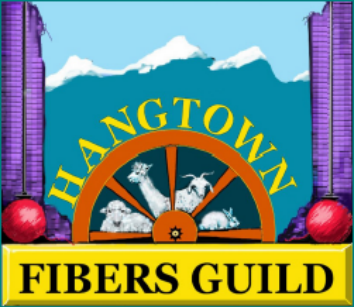 Mercerised is a process that removes the slight halo effect that can accompany a cotton fiber, this is essentially the tiny ends of the fiber protruding from the yarn. To Mercerise the yarn, or thread is brought over an open flame to burn off the fibers. This creates a yarn that has a nice smooth finish that has great stitch definition. Another side effect of this process is that it does not allow the cotton to absorb water as is normally considered. Thus Mercerised Cotton is not recommended for dish clothes, where regular cotton will work wonderfully. I find Cotton Classic is wonderful for warm weather projects, dressy scarves, home décor items, a great market bag. I even love it for tank tops and cover ups. 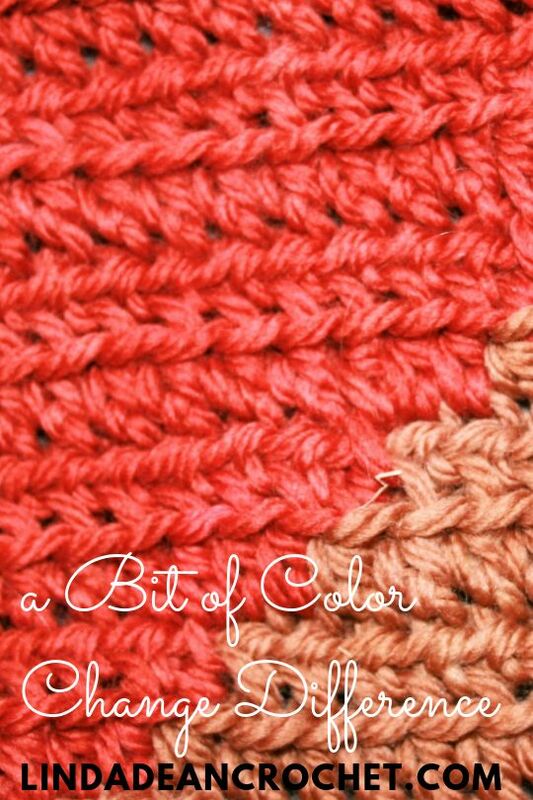 This yarn has a wide arrange of colors available, and it shows of lace work stitches and textural stitches fabulously. It comes in small hanks of 1.75oz/50g with 108 yds/100m. It is a light weight and has nice drape on larger hooks. 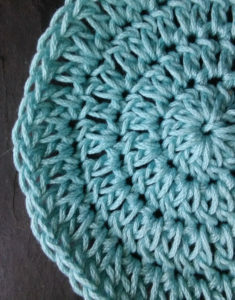 Consider it for your next summer weather project, and don’t worry about this cotton reminding you of a dish rag. 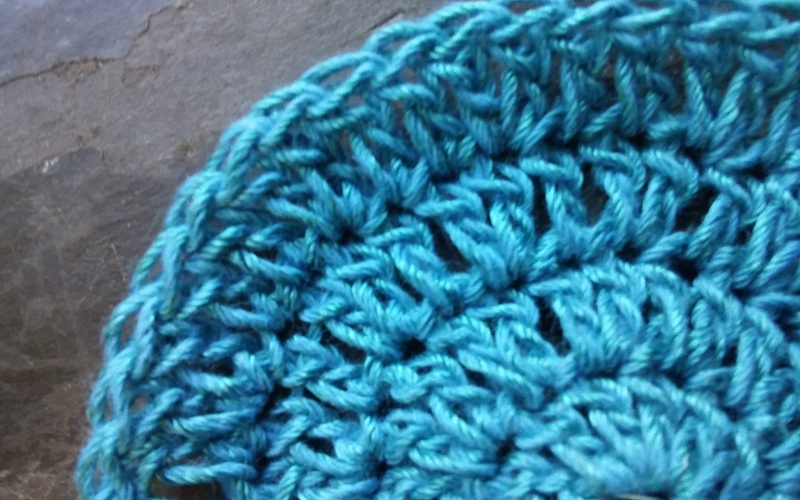 Sometimes it is just the simple alteration of stitches that can create a texture that can have a purpose. Simple Bars, as I am calling it, has a great textural appeal, with little work. The texture has a nice visual appear but in some applications can have a very practical purpose as well. Essentially this is just alternating front and back post double crochet stiches, to begin you create an even number of chains. 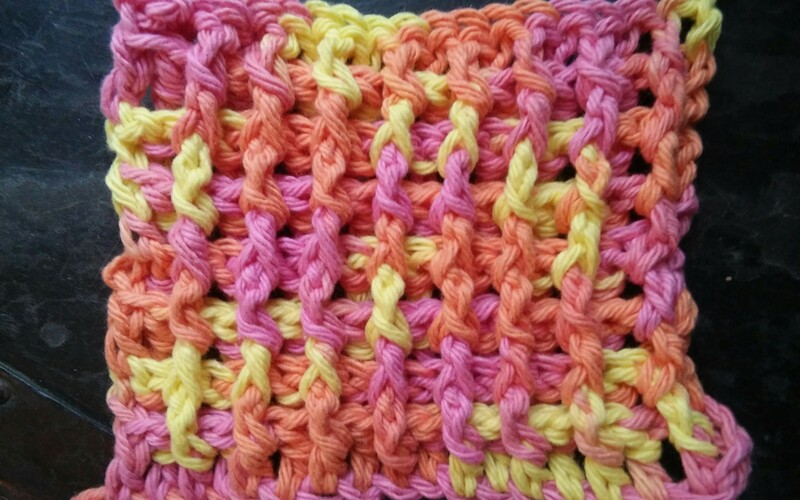 Double crochet in the fourth chain from the hook and in each stitch across. 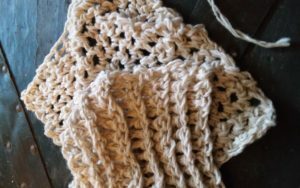 Chain 3 and turn your work, in the next stitch work a front post double crochet, and in the next stitch work a back post double crochet. 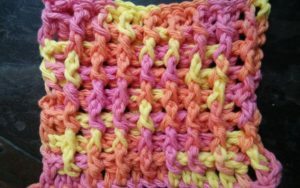 Repeat alternating front and back post double crochets across the row, work a double crochet in the last stitch Then chain 3, turn and repeat the same stitch pattern. It really is that easy. 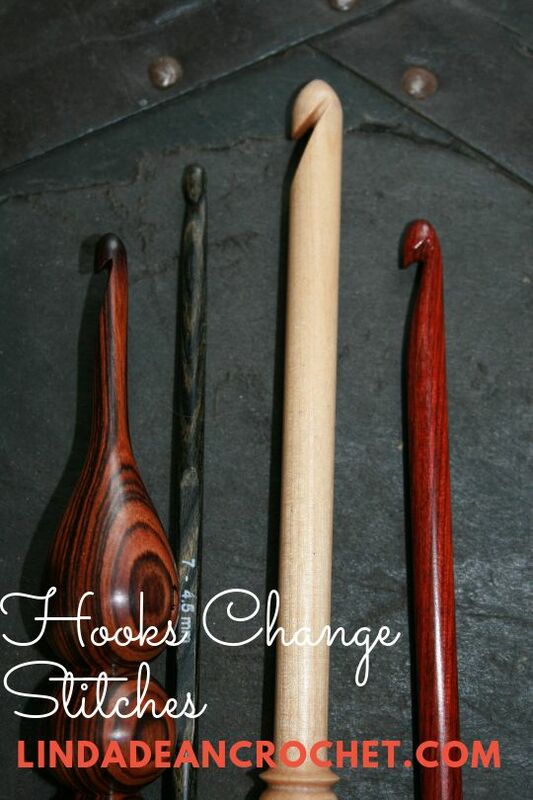 Row 1: Dc in 4th ch from hook, turn. Row 2: Ch 3, *fpdc in next st, bpdc in next st; rep from * across, dc in last st, turn. This Simple Bars creates enough texture that when worked up in cotton can make great dish clothes. I would use a heavier weight cotton, not a thread, something like a light or medium weight yarn. The reason cotton is a choice it that it will not melt under high heats like acrylic, and holds water really well. 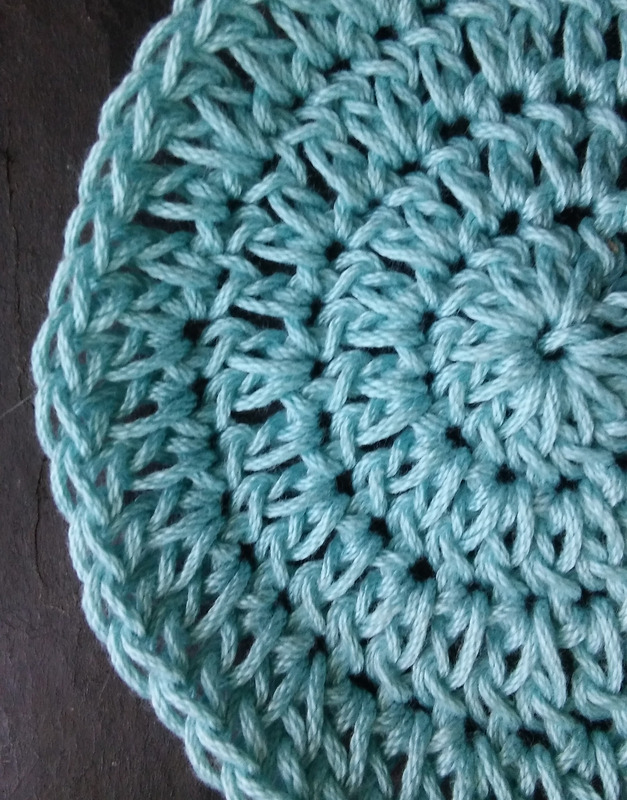 Not everywhere that crochet can make a difference is readily apparent. The simple kitchen in our community can easily be overlooked, but really make a small difference. Everyday throughout every community there is a hot meal being made and served to people in need. In some cases these are traditional soup kitchens with volunteers serving food donations to people in need, in others they are community halls that host community pot lucks, where everyone in attendance brings a dish to share. Some communities find these in churches, some in schools, but crochet can be donated here in the way of pot holders and dish clothes. Consider making a few for your community kitchens, sometimes it is the little things that can make all the difference. Being the end of the year, I usually find it as a time of reflection. This year is no different, however as I was taking a count of the number of designs I created in 2015 I realize I have been busy…and I am not done yet. 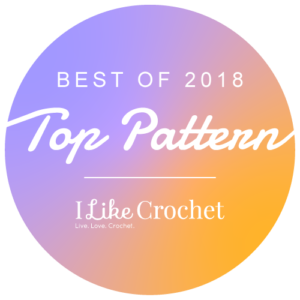 In 2015 I completed 32 designs (you can see some of them here), some for magazines, some for yarn companies, and some for my personal pattern store, but I want to add one more. 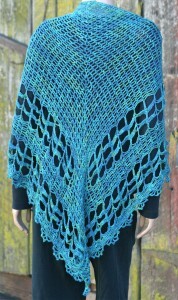 I am happy to release my latest pattern, available in my pattern stores on-line, The Dragonfly Shawl. So, I gave it the name of Dragonfly, as to me I see the edge panels as rows of dragonflies flying outward. Now I have not always thought of this little ancient insect, but since my wedding, several years ago, it has become a bit a totem representing that day for me. I had an outdoor wedding, having the ceremony next to a pond in an apple orchard, and as I walked down the aisle I was surrounded by dragonflies. 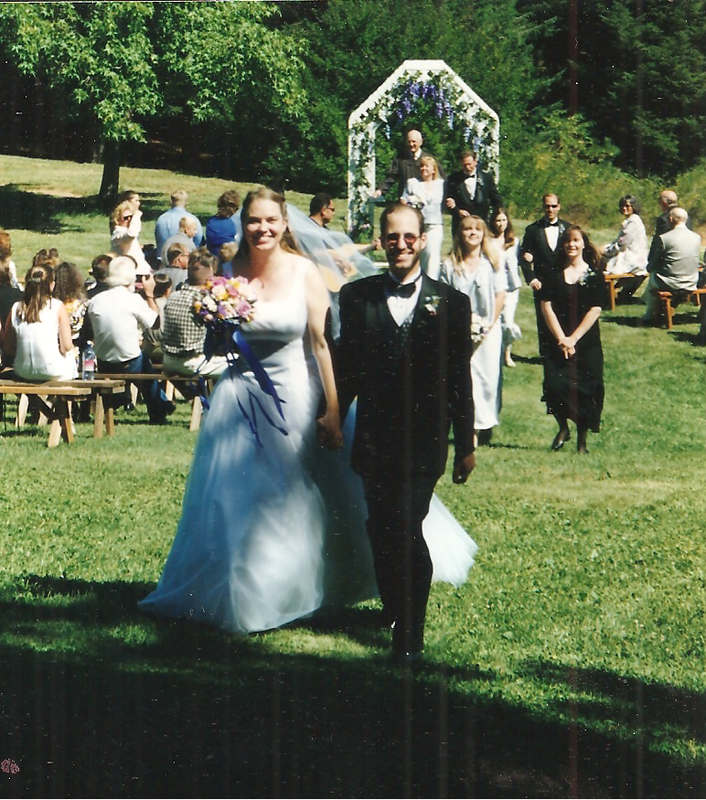 They beautifully danced me down the lawn to my husband. At the time I had guest comment on the dragonflies as bringing luck and magic to my life, yet looking up a simple search I see that many believe the dragonfly means change. What a great symbol for a new chapter in my life, as well as a New Year, so I feel it is fitting for this new design. 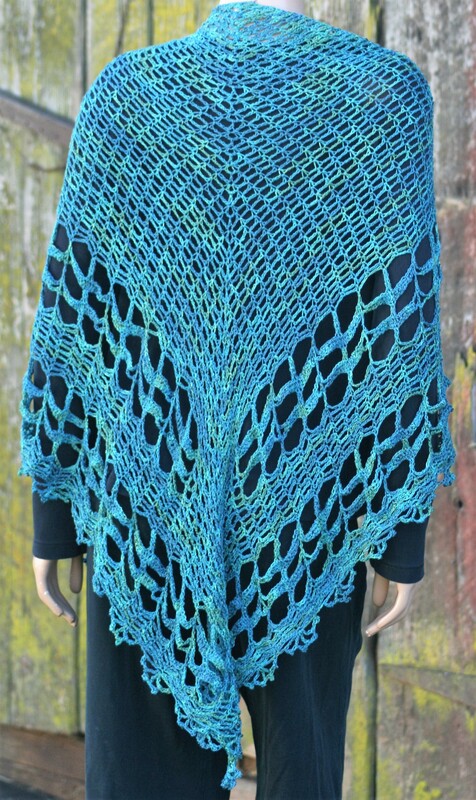 This shawl was worked with only one skein of Blue Heron Cotton Rayon Twist Lace Yarn in the color of Bluegrass, and I actually had some left over. I love when a design works up this way, as it means that there is no extra ends to work in, no joining to worry about, I can just begin and finish in one complete clean piece. It is worked from the center of the top edge outward, ending with an airy scallop fans. The size is very generous, and the drape is fabulous. 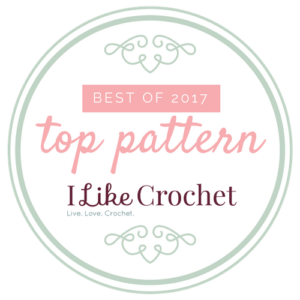 If you are so inclined, please check out the pattern, or pass it along to friend (you can find it on Ravelry & Craftsy), and I will keep busy throughout 2016 creating more…now 33 complete means I was working up a new design every 11 days, and amazingly I did not feel that busy…guess I have room to complete even more next year.